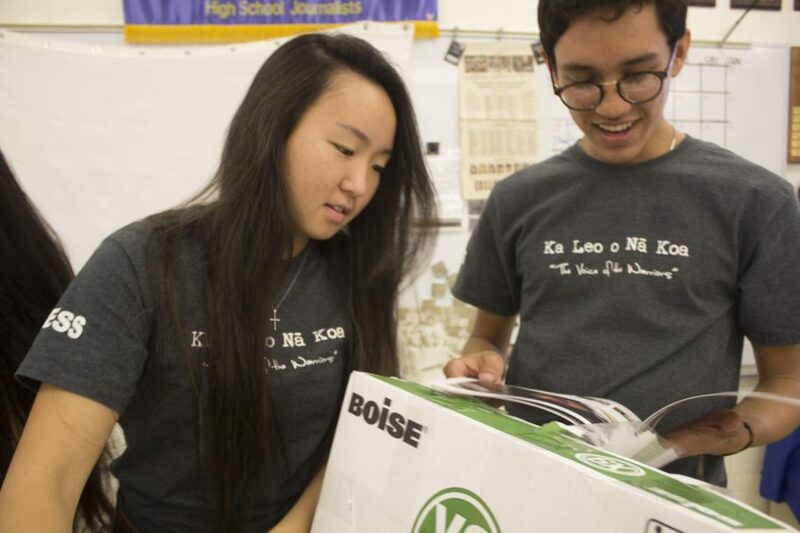 Senior editors Riann Fujihara and Aaron Veincent enjoy the pride that comes when you see your work printed on Distribution Day last year. Click. Click. Click. 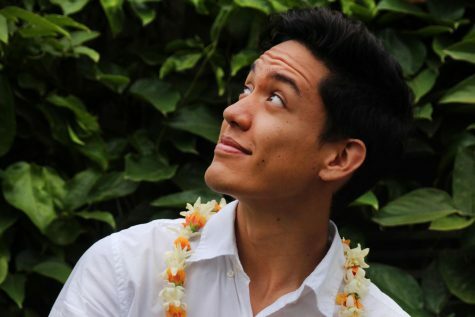 Ka Leo O Nā Koa, “The Voice of the Warriors,” has always been just a couple of clicks away. 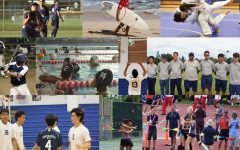 We have striven to deliver the news from Kamehameha Schools Maui, but as next school year approaches, Maui Warriors should be aware that we will not be posting to our website next year due to a lack of enrollment. Only two students were interested in enrolling. The journalism staff has dwindled over the years. In the first years, the staff numbered in the thirties and forties; in the intermediate years, numbers got down into the teens, and for the past five years, enrollment has plummeted into the low single digits. If Ka Leo o Nā Koa is to continue, it will need a new staff who is willing to become the new recorders of KSM history. We were there during John Doe v. Kamehameha Schools and the beginnings of Red Fridays. We were there when our teams became MIL champs for the first time: girls volleyball, boys and girls basketball, boys and girls soccer, and, tennis and bowling, too. We were there when we got our first Presidential Scholar, Tiffany Yee of the class of ’06. The opening of Keōpūolani Hale, the day it was decided that dress whites would be worn for commencement (not cap and gown), the transition of ʻAha Mele from an exhibition to a contest — we were there for all of it. 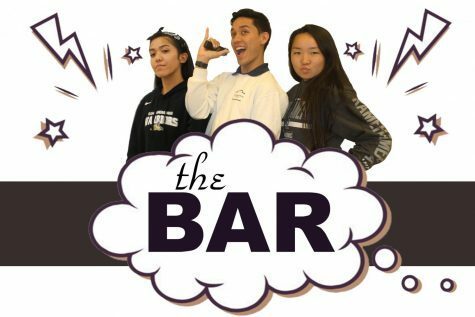 This year, the journalism staff was made up of only four students: first-year junior Analicia Kapua and seniors Aaron Veincent, Brianne Reformina and Riann Fujihara. We were a small staff with many responsibilities, but we collaborated, A LOT, and evened out the workload to get the job done. It wasn’t easy. 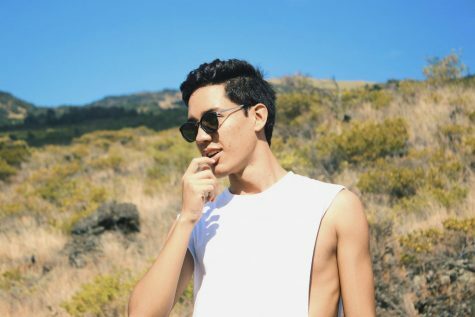 We had to cancel the resurrection of the student magazine Nā Koa, and mid-year we needed to let go of the print version of Ka Leo o Nā Koa, which also doomed our most popular annual features, Where Are They Going? and Senior Wills, to the press room floor. We had to face the fact that we couldn’t be at every sport, concert, club event, or classroom any more, but we adapted and turned away from news writing in favor of feature writing. We hope you forgive us. As a group who has been through it all, we can say that journalism has greatly affected our lives and our overall high school experience. I am not going to lie you. Journalism is hard. It pushes you to step out of your comfort zone and interact with people who you’ve never spoken to, but that is the beauty of the class. We agreed that all of the hardships that we have faced was worth it because it made us stronger and more prepared for life. As our readers, you know that you can look to our website to see photos and highlights of different events that occur on campus and even some that don’t. Once something is published on our website, it stays there permanently, searchable by anyone who has a need to know and at any time. Five years, ten years, even twenty years down the road, you will be able to find that one article that mentioned you because of you game-winning save. It is truly depressing to think that the 2018-19 school year will not be included in those archives. It is no secret that the interest in careers in journalism has decreased because of the increase in social media platforms and their impact on the professional media. According to the Bureau of Labor Statistics, jobs for reporters, broadcast news analysts, and correspondents are estimated to decline 9 percent from 2016 to 2026. Despite these statistics, a free-thinking society must knows that reporters are essential to provide all the details that lie beyond the surface. Anyone reading this can Snap and write 31 characters to caption it. Anyone can do that, but it takes a special person who can think, process, and dig for the story behind the photo. There will always be a need in this world, and at this school, for someone to ask the questions that need to be answered. For the Maui Warriors, there must be students who are willing to be “the voice of the Warriors” and tell our stories. Although Ka Leo O Nā Koa will be inactive next year, it does not have to stay that way forever. The 2016-2017 staff hams it up on picture day. If you are interested in journalism, please email Ms. Haina at kyhaina@ksbe.edu regarding making it into a Ka Liko class. 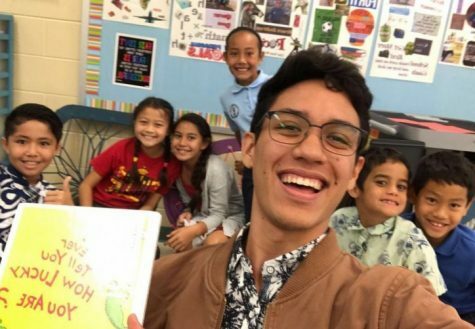 All it takes is 10 dedicated students, and Ka Leo o Nā Koa can go back online, and remember that you don’t need to be a writer. Yes, the whole staff writes, but we also need photographers, bloggers, videographers, cartoonists, athletes, podcasters, puzzle makers…you name it, we need it. “My hopes were high and my palms were sweaty as I entered Ms. Haina’s Journalism class during the beginning of my junior year. I had just selected Literary Arts as my endorsement, and I had no idea what to expect. If I could say something to 16-year-old me, I would have told myself to get ready for a crazy year of mistakes, knowledge overload, and more mistakes. Despite all of the trials and tribulations, I wouldn’t change a thing. I firmly believe that journalism helped me grow as a writer, a student, and a person. To begin, journalism helped me overcome my fear of talking to people that I do not know well. 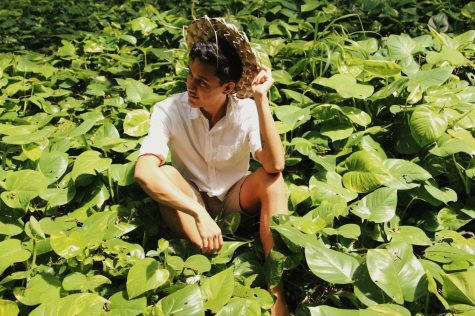 In one of our earlier print issues, when we had a larger staff, I wrote an editorial on the development in Pāʻia. I felt as if I didn’t have enough information, and I was trying to scramble for information online. I also didn’t go to any sources because it was such a general topic. After critiquing my draft, Ms. Haina encouraged me to go directly to the source and interview the owner of the company through the phone. I was extremely nervous because, at the time, I was not efficient when it came to talking to people for information. After giving it some thought, I decided to call the owner of the company because I was running on a deadline. As I was talking to him, he was much nicer than I anticipated. He was willing to answer any questions that I had, and all of my nerves washed away. Through Journalism, I learned what it means to take the initiative. You need to have thick skin and have the flexibility to adapt to any changes in schedule. When I first entered Journalism, I thought that the class would focus almost entirely on writing; however, I was incredibly wrong because journalism is so much more than just writing. It is news gathering, photography, design, and so much more. “In the past few years, I’ve found that nothing has made me develop more as a person than being a journalist. From late night story writing and reporting to standing in bad weather to get the perfect shot of surfers riding waves, no one can tell me that I don’t love being a journalist. Sports editor Brianne Reformina is hard at work on her section on a Layout Saturday in 2017. Journalism students are a rare breed, who come in on nights and weekends to serve the rest of the student body. I can go on and on about the struggles I faced the first year of me learning how to be a journalist, but what nobody knows is how I’ve grown since the beginning. Before Journalism, I described myself as a loner and an introverted person. I never started conversations and rarely talked to strangers. Through journalism, I’ve made more friends in one year than I had in the past two years of high school. Not to mention that my writing abilities and skills to hear and notice things when I’m out reporting have improved drastically to a point where I have the mind of a journalist wherever I go and whatever I’m doing. I’ve found that I’ve learned a lot of life lessons through being a journalist. I’ve come to learn that not everyone is perfect, and every person has a story to tell, but it’s my job to get them to tell me about that story. “At the end of my journalism career I would have to say that the subject and I had a love-hate relationship.There were many moments during which I was ecstatic to cover a story, while at other times, I was completely dead, but that’s why I cherish journalism so much; it teaches you and puts you through life experiences. No other class like Journalism requires you to go out into the community, to interact with random community members, or to spend more time doing work outside of the class rather than in. Journalism has been an experience that allowed me to learn so many life skills, as well as given me a chance to open my eyes. Scary? Sure, but the best things always are. For now, we are logging off. 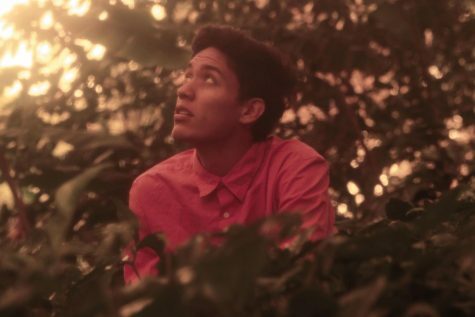 We look forward to the day when we will be able to read Ka Leo O Nā Koa once again, brought to life by you, the high school students we are leaving behind. Check out our last podcast, where we reflect on our favorite memories in Journalism by clicking here. Forgive our silliness at the end, but it is our last one, sooo…. Mahalo for always producing such informative pieces! 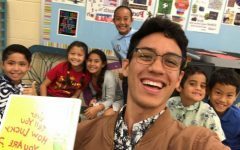 I hope enough students step up to keep Ka Leo O Na Koa online! I am also KLONK alum and feel I must make some last appeal for students to join this class and keep our legacy alive and growing. Six years later and I am still checking in on the latest happenings at KSM. I am constantly blown away by the amount of work students put into their articles. I would like to add my own testimonial to those above in case there are other students who think the values of this class end after graduation. When I left KSM and KLONK in 2012 for college I was nervous, but I knew I was more prepared than most. This was due in large part to Ms. Haina’s journalism class. Yes, you learn how to write well, but you also learn how to communicate, how to prioritize and disseminate large amounts of information in a concise and precise manner. You will learn to work in teams, to manage deadlines, to walk the thin line of being objective when there are polarizing and strong opinions surrounding you. You will learn to listen. Not just to a teacher, but to people. Listen empathetically for the real root of your story to find out the why that so many people have burning inside them. These are skills that you will need wherever you go. 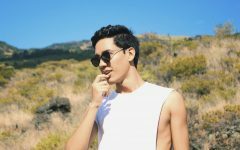 These are skills that will help you thrive in the general Ed (GE) classes you have to take (yes, you really have to take them) in college. In my first GE class of my freshman year, I was the only student to get an A on the first assignment that was given to us. These are skills that will help you develop relationships wherever you go. Those people skills are almost impossible to be taught in a class, but you will earn and grow them in journalism. With them you will find connections where ever you go. It helped me to have a strong voice on my campus and friends around the world as a flight attendant. 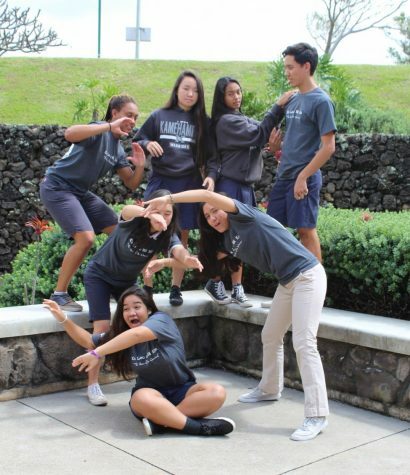 No matter what career you go into, you will need the skills Ms. Haina can give you. I have not worked as a journalist or broadcaster but I use those skills daily. I used them when I worked at the Pukalani Subway making sandwiches. I used them when I was the Lead Resident Advisor for freshmen at Chapman University. I drew on those skills when I interned at the Ryan Seacrest Foundation. I was relying on my journalism skillset constantly as a flight attendant. I would not have been able to get my new job in Marketing without them. You will find when you leave the bubble of KSM that there are stories everywhere, and people want to tell them. You will find that you may even want to tell your own. The pen is always mightier than the sword. It is always needed and necessary. So, please! If you have taken the time to read through this long comment, I am encouraging (and also pleading) you to join this wonderful class and contirbute to a legacy that will span generations and years to come.